This camp session will allow participants to experience being a camper and staff member in the same week. After completion, campers will have the opportunity to volunteer additional weeks during the summer. 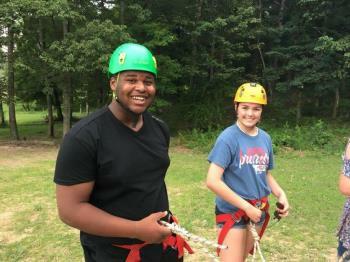 Those wanting to volunteer at Camp Lookout must complete Volunteer Training Camp, complete all required documentation, and be approved by Director to serve as a volunteer. Volunteer Training Camp (Grades 11-12) begins Monday 9:00 – 10:00 a.m. and ends Friday with a 2:00 p.m. closing.